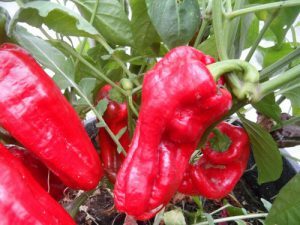 Peachadew-(Capsicum baccatum)-Also known as the PeppaPeach in Wales! 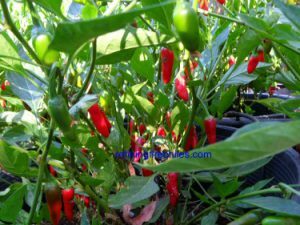 I dont know how he does it but Master Gardener Chris Fowler always comes up with new delicious peppers in his greenhouse. Sometimes it’s a result of accidental or deliberate cross pollination. Sometimes it’s something new he gets from one of his many International growing friends that he discovers. Regardless the best thing to come out of Wales is not Tom Jones! It is the friendship of Chris Fowler! The Peachadew pepper is a round variant of the Sugar Rush Peach. It is unknown is this is a natural mutation or if something crossed into the Sugar Rush Peach. The result is a very sweet delicious productive pepper that looks like the Trademarked Peppadew ™ pepper from South Africa. So that’s why it is called the Peachadew. 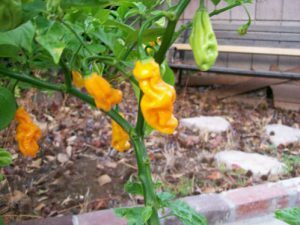 The Peachadew peppers are round and over an inch in diameter and ripen from green to peach. 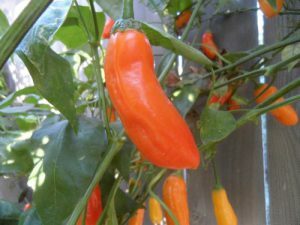 The Peachadew chile plants grow over 4 feet tall and are excellent producers. 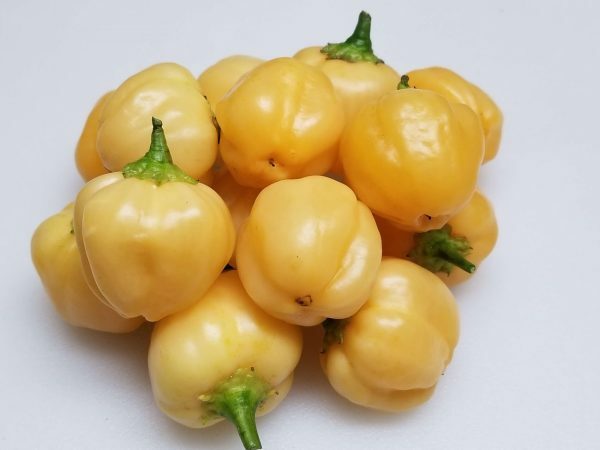 The Peachadew peppers have a medium heat level depending on growing conditions and are ideal for fresh salsa, roasting, frying, sauces, stuffing, soups and stews!